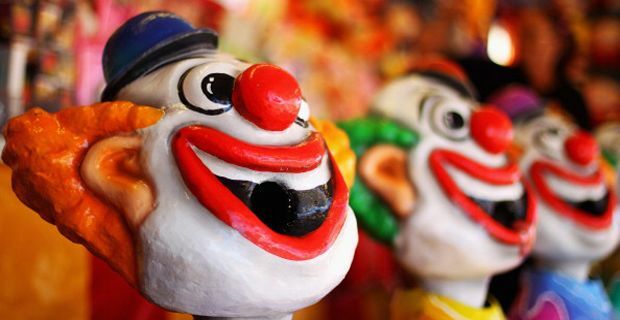 The Mexican drug wars took a new twist on Friday when gunmen dressed as clowns shot dead a senior cartel leader at a children’s party. Francisco Rafael Arellano Felix, 63, was assassinated at a family event in Cabo San Lucas, a tourist resort in the Baja California peninsula, state special investigations prosecutor Isai Arias told reporters. "He was hit by two bullets, one in the thorax and one in the head," Arias said. The Arellano Felix brothers were once amongst the biggest players in the drug trafficking network between Mexico and California. Their notoriously violent Tijuana cartel was a major inspiration for the Steven Soderbergh film "Traffic." Most of the cartel’s senior members are either dead or in prison now, and the murder was most likely due to “unpaid old debts, and old retributions" from the period that the Arellanos were at the height of their power between 1990 and 2000, said Raul Benitez a drug trade expert at the National Autonomous University of Mexico. One of the brothers, Ramon, was killed in a firefight with police in 2002 while three other brothers are in US prisons. With their hold over the trade weakening, they were superseded by rivals such as Joaquin "Chapo" Guzman's Sinaloa Federation. Nicknamed "El Menso" (The Dummy), Francisco Rafael was extradited to the United States in 2006 and sentenced to 6 years in jail after selling drugs to an undercover agent. In 2008 he was released for ‘good behaviour’ and headed back to Mexico where sources doubt that he had become active again. Two bands were entertaining more than 100 guests at the party which was apparently attended by famous Mexican sporting stars when the gunmen, dressed as clowns approached him calmly before shooting him in the head and then the chest. Violence linked to drugs and organized crime has left more than 70,000 dead in Mexico over the past seven years. Mark Colborne planned to assassinate Prince Charles after being "belittled by society"
The One-Eyed Terrorist: Who is Abu Hamza?